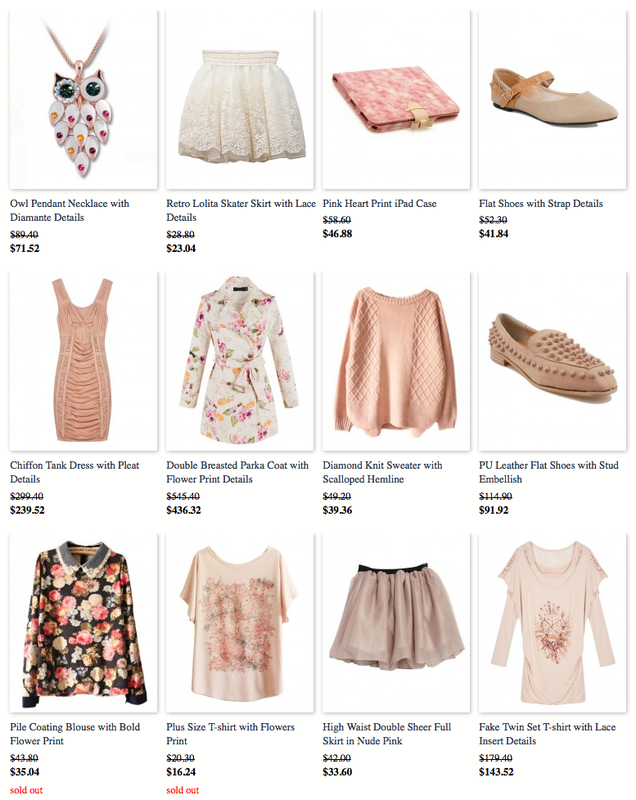 So I call this; my spring wishlist. Not because of the season, but the "feel" of these clothes that I am going to show you. All of these are from www.chicnova.com. I almost screamed when I saw their spring collection /over-reacting but for real, the items listed on their spring collection looks so nice that I craved over the outfits that I can put up with those lovely fashion pieces. If you're wondering how everything looks like, you may view it here. Here, let me show you the top 5 pieces that I love from their collection. This blouse has been made from a super soft flocking jersey fabric with a floral print. The details include: a classic Peter Pan collar with lace details, concealed zip closure to the back, and full length sleeves with buttoned cuffs. 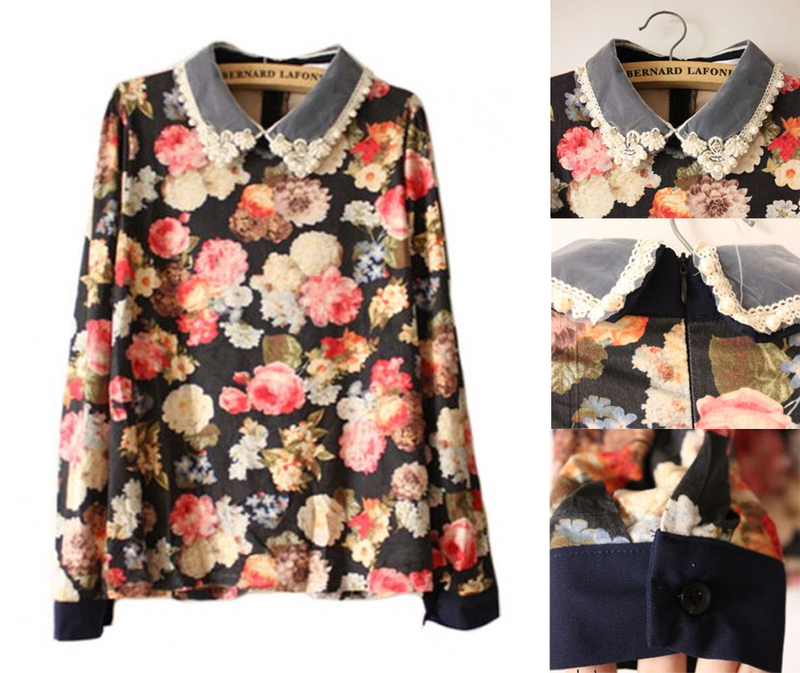 The blouse has been cut in a vintage style. 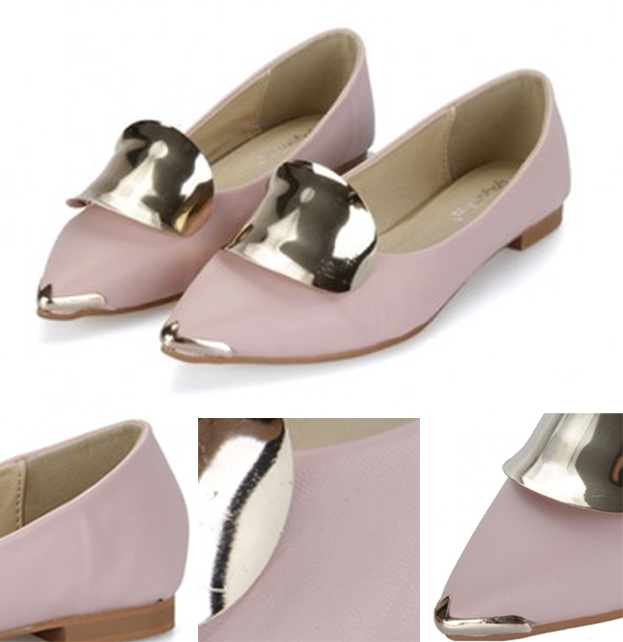 Featuring soft PU upper in pink, point golden metal toe design, and over-sized golden metal detail to front, slim sole and a block heel, in a street fashion style. These shorts has been crafted in pure cotton denim with a faded blue wash. The details include: a high-rise waist, extended belt loops and an exposed button fly, four pockets styling with rivet studs, contrast stitched seams and rolled cuffs. Designed with a mini cut length. Featuring soft fine-gauge knit fabric with tie dye detail, simple print to front, round neckline, long length sleeves, rib trim to neckline, cuffs and hem, in a flattering fit. Here's a screenshot of the other items you would like to look at. They sell these soft shades of pink (all on-sale). So there. I am saving lots of $$$$$ for new fashion pieces! ^-^ I really want to revamp my closet! I think this is a good start! How about you, do you like these kind of clothes? Btw, My chicnova giveaway is still open, you can join here. I think I couldn't live with only two seasons. It will be too boring for me. haha. I wish I would be able to see a real snow~!